I am having the hardest time trying to understand how to save files to CDs. Do you have to format a CD first? 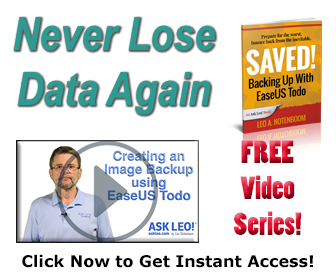 Do you have to use a program like Roxio? Personally, I would rather use Zip disks as it seems much less complicated to save a file to one of these. The drawback, as we know, is the amount of storage on those compared to CD's. On one occasion I wanted to save a file to CD-RW so I could go back later and change or update information in that file. I wasn't allowed to make any changes even though it was a CR-RW. Please help me as I am so frustrated with CD's. There many approaches to CD and DVD burning. 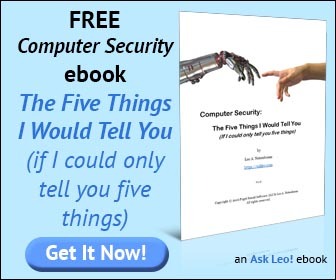 Rather than say "this is how you must do it", I'll show the basics of Windows XP CD burning and then touch on a couple of the alternatives that you might investigate as well. The problem with CD burning is that it's grossly inefficient to burn one file at a time to the media. What happens instead is that using CD burning functionality, either of Windows itself or another utility, you first collect the files you want to burn. Then once you've assembled the contents of what you want on the CD you burn it. "... you actually don't need any special software for the basics of burning a CD, since the support is built into Windows XP." As it turns out you actually don't need any special software for the basics of burning a CD, since the support is built into Windows XP. Windows attempts to make the collect and burn steps as friendly as possible my making it look like you're copying individual files to the CD, when in fact you're copying to a temporary area. Once you're done you can then instruct Windows to actually burn the CD. Make sure that Enabled CD recording on this drive is checked. At the same time, make sure that the drive listed has enough room as described in the dialog, or select another drive that does. Click OK. 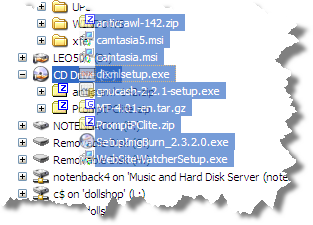 It's a little difficult to see above, but what I've done is selected a number of files and then dragged them on top of my "CD Drive (E:)" icon in Windows Explorer. This image is taken immediately prior to letting go and "dropping" them on the drive. This reminds you that you've begun the process of collecting files to be written to the CD. Windows has copied the files to a temporary location in preparation for burning the CD, but hasn't yet written anything. To actually burn the CD, right click on its icon one more time, and click on Write these files to CD. Today's date is a good choice, or something else that will help identify the contents of the disk. Press Next and writing will begin. It'll cycle through "Adding data to the CD image...", "Writing the data files to the CD..." and finally "Performing final steps to make the CD ready to use...". Once complete your files have been written to CD. You can take the disk to another machine and verify that everything you expect is there where you expect it. Note: you'll need to make sure that you're not writing more to your disk than it can hold. Normal CD capacity is around 650 megabytes. 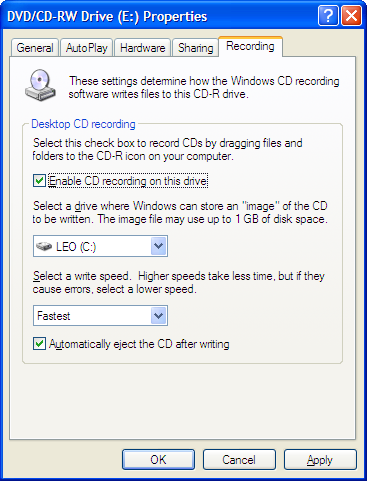 Windows allows you to add files to your CD by simply repeating the steps above, however this does slightly reduce the capacity of the drive as each time you add files Windows adds a certain amount of overhead as well. CD-RW disks can be rewritten, but that doesn't mean that you can simply treat them like a hard drive. It does mean, however, that you can erase them and write new content to them. When you insert a CD-RW disk that contains data an additional option appears if you right click on the drive: "Erase this CD-RW". Click on that and after confirmation Windows erases the contents of the CD-RW. After that, you can simply repeat the process of writing files to the CD as you've done above. What about DVDs and DVD RW? Unfortunately on my machine running Windows XP the processes I describe above appear to work only with CDs and not DVDs, even though my drive is DVD capable. My recommendation is actually a freeware utility called ImgBurn. The concept and process is the same, though through ImgBurn's "Build" UI instead of within Windows. You add files to a list to be burned to the CD or DVD, and once done push a button to burn. Like Windows you can erase RW media. Unlike Windows, ImgBurn will easily show you the amount of space you have available on whatever media you happen to be writing to. ImgBurn will write to whatever your device is capable of, be it CD, DVD or even (apparently) HD-DVD and Blu-ray! Rather than enabling the writing abilities within Windows, I actually use ImgBurn for all my CD and DVD burning. Another alternative are programs like Roxio or Nero. I've not used Nero, but have used Roxio for many years before switching to ImgBurn. Roxio includes a feature called "Drag To Disc" which works much like Windows, allowing you to copy files to and from the CD using normal Windows operations, and then burning the media when you're done. Roxio also includes a "classic" burning utility that works much like ImgBurn, providing a UI into which you drop files, collecting them until you click on a "burn" button to actually write the CD. Note: comments about CD and DVD drives that don't work will be deleted. That's not what this article is about. Ask Leo! - Audio CDs - what format should I use to burn my Audio CDs? Ask Leo! - Why can't I add files to my CD-R? Ask Leo! 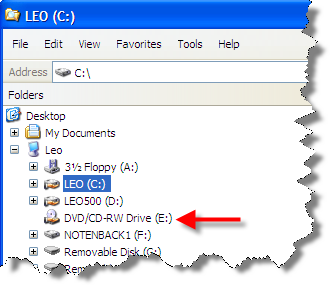 - Cyclic Redundancy Check: what is it, and how do I get rid of it on my newly burnt CDs and DVDs? Leo, the torn edges of your screen shots look very interesting. Could I ask what software you used to create them? ways. And adds nifty things like tear effects :-). I'd like to suggest that perhaps a flash drive would be easier to use. This depends, of course, on the reason for saving the file - for example if it is to be mailed, a CD would work better. Ronny - I am curious too. I use Paint Shop Pro X and this particular torn edge treatment does not appear to be available. What about the prompt of making Himat compatible? What benefit do I really have enabling this feature? 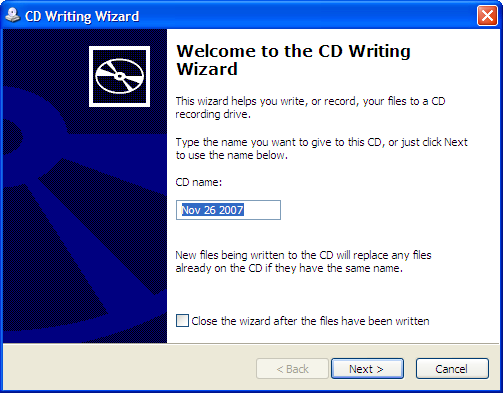 You can use a CD-RW like an hard drive, in a way, By using some 'packet-writing' software, like 'Direct CD' from 'Easy Cd Creater', or 'InCD' from 'Nero'. I'm somewhat of a download junky, and like to save everything I download. So I download the files and burn them of to a CD-RW, then when I get enough files saved, I try for 650 MB (a formated CD-RW only gives you about 530 - so I spread the files out over a cople of Cds). When I get enough I then copy all of them to my hard drive and burn them of on a CDR. Format the CD-RW and start all over again. Also, simply SELECT files to burn (click on the first one - hold SHIFT and click the last one), rightclick in the selected area and SENDTO your CD/DVD drive. To copy a movie, I also use IMGBURN to BUILD an ISO and then WRITE to disk. A large movie can easily be reduced to 4.3GB with DVDFLICK so it will fit on a normal DVD. IMGBURN is built in to DVDFLICK. Will Imgburn allow me to put gpegs on a DVD? I tried all day yesterday with many other programs but when I finished, none would work on my DVD player/ Is this any beter? Before buying my new computer I saved my pictures,programs etc. to a CD..when it came time to put them on my new computer I had a huge problem.I had saved the 'shortcuts'. The question is HOW DO I SAVE THE PROGRAMS AND PICTURES? The pics I saved had text for each picture instead of the actual images. Hope this is clear and thanks in advance. Hi there, the problems I have been having regarding DVD and CD burning etc are too long to detail but basically when I first had my PC it was so easy to burn a CD a 3 year old could do it.Now, though, and possibly since I had a major upgrade following a virus (New HD, more memory),and numerous types of software eg Ashampoo 9, my end result won't play on anything except my PC.I understand the difference between data and audio CD's etc and am told the CD is finalized after burning. Even different write speeds fail. If I display the tracks, they are all something like 44Kb , un-named tracks.The CD looks like it is full despite the low content of the disc. One thing I noticed on reading your instructions on CD burning was when I clicked properties on the drive,there was no recording tab after "sharing";also the drive is listed as a DVD RAM drive...Can you help? PS both of my optical drives are new also. When I get to the writing wizard, it directs me to insert a disc when there is already a disc in the drive. I've tried it over 100 times with at least 30 different discs, but it doesn't recognize the cd. The drive reads discs with data on them with no problem. I'm baffled!! I have followed your steps above, however, when I 'repeat' the process for another file, although the disc is far from full, I cannot access the additional file at another PC (only the first)?? any thoughts?